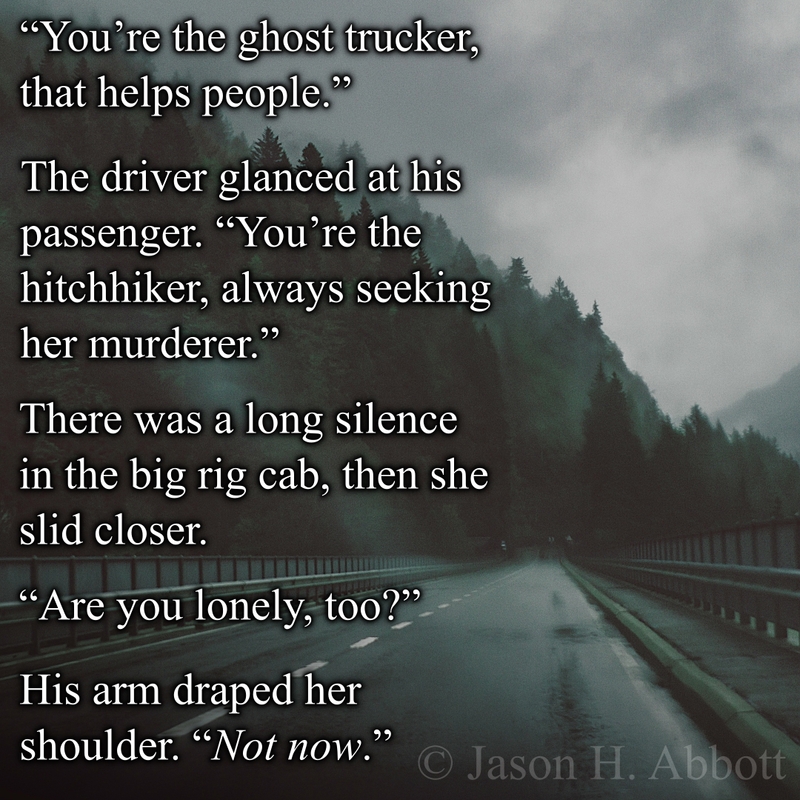 There was a long silence in the big rig cab, then she slid closer. Cool story. I loved it that they are both ghosts.